Do you use Uber a lot? 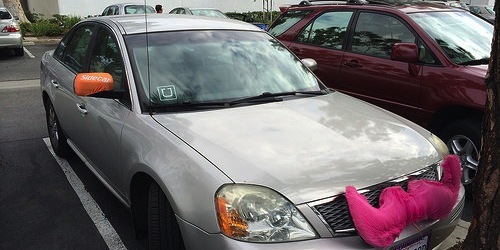 Or a similar ridesharing service like Lyft? Well, how about getting some cash back with that? Wouldn’t that be nice? I think it would. I use Uber a lot to get around town because it’s a very convenient and safe option, especially if we’re tying one on that night. It also happens to be pretty cheap too. But now it can be even more cost effective if you use your Discover it card over the next month and change. From now until March 31st, use your Discover it card (make sure you’re enrolled first in the 5% cash back categories) when paying for Uber and you’ll get 5% cash back. The beauty of Discover’s rotating categories is the fact that they’re often pretty broad. As you can see, just about any way you can get around the streets, Discover will reward you with 5% cash back until March 31st. The only exclusion is ground transportation purchases made via travel agencies or travel aggregate sites. They don’t cite examples, but my guess is websites like Expedia or Kayak. Also note that the most you can earn in the way of cash back is $75, which is 5% of the $1,500 quarterly spending limit. So you’re not going to get rich with this promotion, but if you do use Uber and Lyft constantly, you might as well take advantage. If you use Uber a lot, but can’t or won’t spend anywhere close to $1,500 on it in the next month, you can buy Uber gift certificates for yourself and load them to your account very easily. That way you’ll get the 5% discount now and you can use the credits as you wish over time. There’s no expiration for Uber gifts and any credits that remain unused after a year from the date the promotion code is entered will be refunded to your credit card. So it’s fairly risk-free to prepay for Uber now and get it at a discount. If you’d like to do that, you need to go to the Uber website, log-in, and then click on “gifts” in the top left corner. It can’t be completed from their app. From there, simply select your gift denomination (anywhere from $25 to $250) and pay with your Discover it card. You should get a 5% cash back bonus when your billing cycle comes to a close. FYI, the rest of the year you can earn 2-3% cash back on Uber and similar services via a variety of different credit cards.